Today, I want to share with you another product I have received earlier this week. 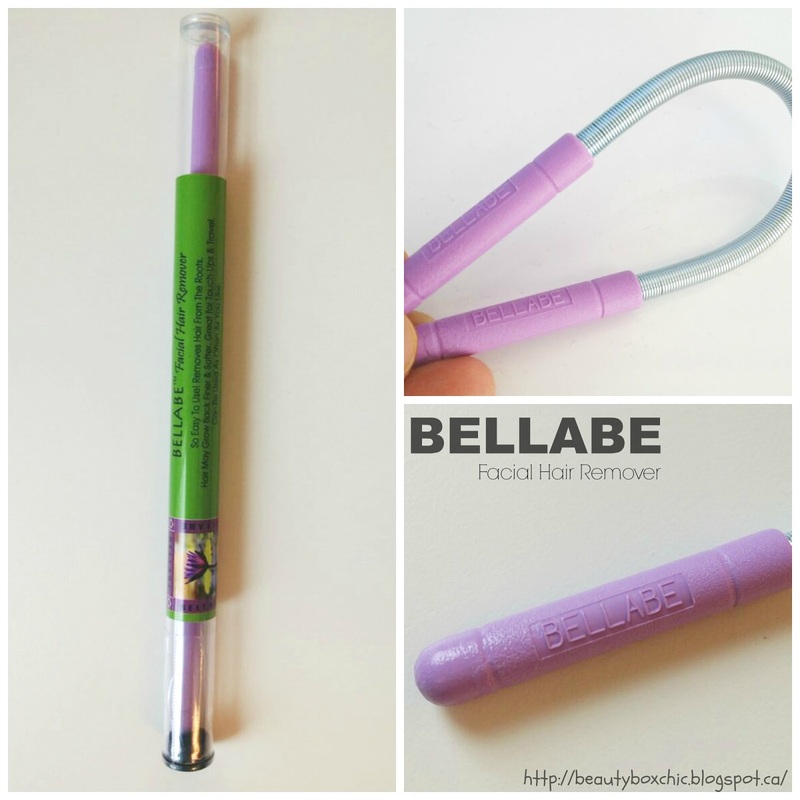 Nail Polish Canada has also kindly sent me a Bellabe facial hair remover tool for review. Special thanks to Nail Polish Canada for given me the opportunity to try this product out!!! Before I share with you my thoughts on this product, let me tell you a little bit more about Nail Polish Canada . What is Nail Polish Canada? Nail Polish Canada is a Canadian online beauty website that started back in March 2011, they carry numerous brand of nail polishes and different beauty related products ranging from makeup, haircare, beauty tools and skincare products!! Where do Nail Polish Canada ship to? Currently they ship to Canada and USA only. Shipping over $25 dollars or more is free within Canada, anything under $25 dollars has a + $3 shipping .Please visit their website for more information. Click Here. What is Bellabe Facial Hair Remover? - For best result: Bend the spring downwards against your face, rolls both handles inward and onward in a continuous motions, repeat this until the unwanted hair is all remove. For more details on how to use this product, please click Here. - Remember for sanitary reason, it is important to clean your Bellabe!!! - It work best around the upper lip, chin, and the cheeks area. - love the colour selection!!!! -My first time using this beauty tool, it slightly hurts and stung a little, there was a small burning sensation after used. However, applying aloe gel after used helps me reduce this burning sensation!!! This is my first time using the Bellabe, this beauty tool is a great alternative of removing unwanted hair comparing to waxing, threading or laser!!!! I am very impressed that Bellabe is easy to use and great tool to help remove any unwanted hair around the lips, chin and cheeks area!!!! Even through I did experience burning sensation after used, applying aloe gel does help relief this sensation!!! Bellabe works great on my prone-sensitive skin!!! If you are look to invest in some reasonable hair remover beauty tool, I really do recommend checking out this out!!!! 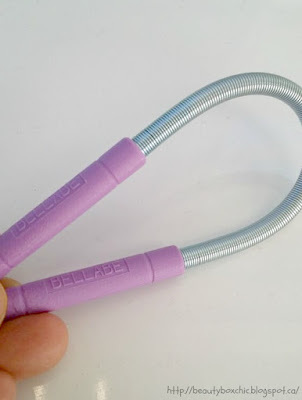 What do you think of Bellabe Facial Hair Remover? Will you give it a try? Have you shop at Nail Polish Canada before? If so, what are your thoughts? I remember hearing about this product back in the day, but haven't seen it since! As you mentioned in your review, I heard that it works very well, but it's somewhat painful!